Sharron Ensign’s second book participates at Frankfurt Book Fair 2016. On this year’s Frankfurt Book Fair, LitFire Publishing featured Sorting the Dream: And Some Were Seen Book 2 by Sharron Ensign. The book is a continuation of Tamar’s Dream, following the heroine on an intergalactic adventure. Old and new friends, but all allies, come together as a family in the second book. At the same time, Tamar develops new gifts that would help her strengthen their clan. But as they train to become stronger, they encounter new opponents and harsher struggles. Although the book is a sci-fi, Ensign sought inspiration from a higher being. “Like most things in life, a book is not written totally alone. The inspiration comes from a power higher than man, or at least my books do. With that assistance found the words,” the author says. 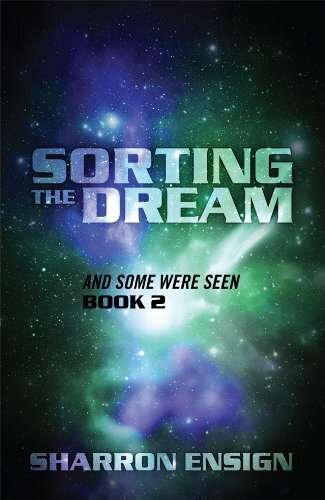 Sorting the Dream: And Some Were Seen is a thrilling cosmic adventure. It doesn’t fall short on entertainment value with new explorations and species being introduced in the book. The book fair was held on October 19–23, 2016, at Messe Frankfurt (Frankfurt Trade Fair) in Frankfurt, Germany. Thousands of authors, publishers, booklovers, and fairgoers have gathered in the open annual event. Book copies are available at www.amazon.com, www.barnesandnoble.com, and other online book retailers. Sharron Ensign served the military for twenty-nine years prior to retiring. She lives in Helena, Montana, and enjoys traveling, photography, spending time with her friends and pets, and arts and crafts.